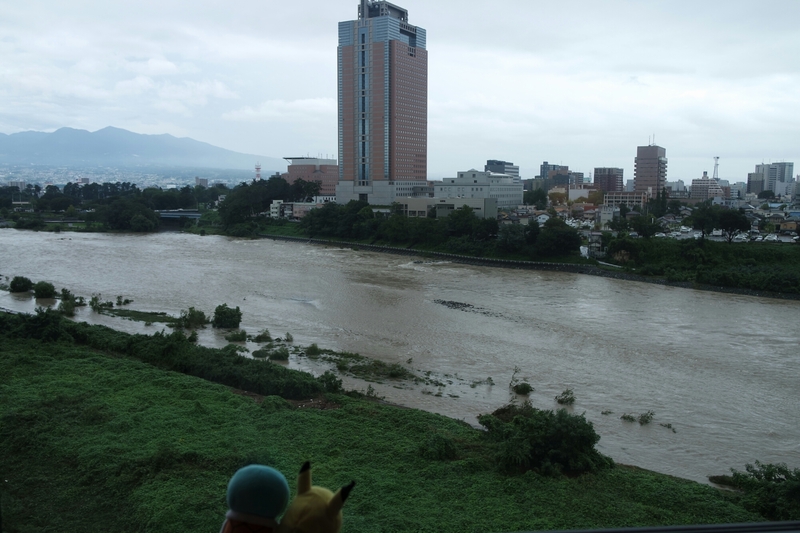 After struggling through the showers of the past 3 days we’ve finally made it to Maebashi, the real world Pewter City. We’re tired and everything we own is damp from the rain but we have arrived in one piece. The next two days look to be nice and sunny so for now we simply rest before we go to see the sights the capital of the Gunma Prefecture has in store for us. After 11 days of travel it is surely time to gain our first gym badge! If you were wondering how the Capsule Hotel went, it was a good night’s sleep! It’s a very bizarre concept and is something I’m sure is only widely used in Japan. We were there as tourists but it certainly isn’t a tourist attraction. It’s where working men and women go at the end of the day to sleep before going back to work tomorrow. Definitely worth the experience, only I hear whether you have a good stay or not is more or less luck of the draw. It can be a quite harrowing night so I’ve heard. Thank goodness we got lucky!